Artists in Context is a flexible organizational framework designed to assemble artists and other creative thinkers across disciplines to conceptualize new ways of representing and acting upon the critical issues of our time. The Boston University Center for Energy and Environmental Studies engages in education, research, and professional training in the fields of energy and environmental analysis. The perspective of the Center is multi-disciplinary and problem-oriented. The educational programs are based on the philosophy that students need a solid training in traditional disciplines, as well as a set of integrative courses that expose students to the broad and systematic nature of environmental problems. The multi-disciplinary, systems-oriented approach underlies the Center’s research programs that investigate some of the planet’s most challenging environmental problems. The Boston Youth Environmental Network is a comprehensive system of organizations providing hands-on environmental education and employment opportunities for children and youth. Our resources and connections help individual providers more effectively engage kids in outdoor learning, academic achievement and career exploration. BYEN’s overarching vision is to see all young people in Boston engaged in high quality, culturally relevant environmental education and employment experiences that provide opportunities for outdoor learning, academic achievement and career exploration. The Charles River Conservancy is a nonprofit citizens advocacy group dedicated to the renewal and stewardship of the Charles River Parklands from Boston Harbor to the Watertown Dam. The Conservancy works in partnership with the Massachusetts Department of Conservation and Recreation (DCR), the agency responsible for the Charles River parklands, parkways, and historic bridges. Chefs Collaborative is a national chef network that’s changing the sustainable food landscape using the power of connections, education and responsible buying decisions. CC cultivates a vibrant community to develop and share best practices, facilitate farmer/chef relationships, and provide educational and information resources to the professional food service and culinary community. ChopChop, The Fun Cooking Magazine for Families is a quarterly food magazine for kids aged 5-12 and their families. ChopChop’s mission is to educate kids to cook and be nutritionally literate, empower them to actively participate as health partners with their families and help establish and support better eating habits for a lifetime of good nutrition. ChopChop’s vision is to reverse and prevent childhood obesity. The non-profit national magazine is filled with nutritious, great-tasting, ethnically diverse and inexpensive recipes, as well as interesting and little-known food facts, Q&A’s and games. Our goal is to get a copy in the hands of every child. The Dorchester Environmental Health Coalition is a grassroots network of Dorchester residents, businesses, institutions and non-profit organizations dedicated to promoting the environmental, social and economic benefits of living sustainably in Boston’s largest and oldest neighborhood. The Coalition’s mission is to tackle urban environmental health and equity through education and organizing, with the goal of improving Dorchester’s outdoor environment and therefore the health of all people who live, work, play and learn anywhere in Dorchester, Mass. The Food Project produces healthy food for residents and suburbs of Lynn and Boston, MA and provides youth leadership opportunities. TFP strives to inspire and support others to create change in their own communities. TFP grows nearly a quarter-million pounds of food without chemical pesticides, donating thousands of pounds to local shelters and selling the remainder through Community Supported Agriculture (CSA) crop “shares” and farmer’s markets. Locally, TFP educates urban gardeners about lead-contaminated soil and promotes raised bed gardening by residents and organizations in Boston and Lynn. The Center for Health and the Global Environment at Harvard Medical School, the first such center at a medical school in the United States, was founded in 1996 to help promote a wider understanding of the human health consequences of global environmental change. By focusing on environmental change through the lens of human health, the Center is able to reach people in concrete, personal terms they can relate to and understand. The Center is an official Collaborating Center of the U.N. Environment Programme and works alongside many other organizations throughout the world. The RAFT Alliance (Restoring America’s Food Traditions) is an alliance of food, farming, environmental and culinary advocates who have joined together to identify, restore and celebrate America’s biologically and culturally diverse food traditions through conservation, education, promotion and regional networking. RAFT aims to promote and ensure that the diverse foods and traditions unique to North America reaches our tables by means that make our families and communities healthier and our food system more diverse: ecologically, culturally and structurally. RAFT focuses on clusters of foods at risk that they feel they have a capacity to recover, using models of discovery, recovery and sustainability that may inspire others to do similar work. Red Tomato is a unique non-profit that helps their region’s farmers bring their fresh sustainably-grown produce to local grocery stores at a fair price. 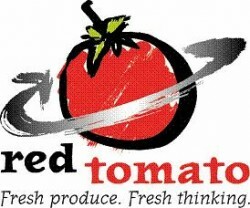 Red Tomato’s mission is connecting farmers and consumers through marketing, trade, and education, and through a passionate belief that a family-farm, locally-based, ecological, fair trade food system is the way to a better tomato. Shape Up Somerville is a city wide campaign to increase daily physical activity and healthy eating through programming, physical infrastructure improvements, and policy work. The campaign targets all segments of the community, including schools, city government, civic organizations, community groups, businesses, and other people who live, work, and play in Somerville. Slow Food Boston is a non-profit all-volunteer organization and carries out the Slow Food mission on a local level. SFB advocates sustainability and bio-diversity through educational events, and promotes the consumption of seasonal and local foods and the support of those who produce them. A program of the Sustainable Business Network, Boston Local Food has a goal to grow a stronger, healthier local food system in Eastern Massachusetts by creating opportunities that connect, inform and support local food businesses, organizations and individuals representing diverse communities. Guided by the SBN values of local, green and fair, BLF’s work increases availability and eating of local food provided by local independent businesses such as farms, fisherfolk, distributors, restaurants, retail food businesses, etc. This will lead to healthier local communities, economies and environments. The Tufts Urban and Environmental Planning and Policy Department is an engaged community of students, alumni, scholars, staff and practitioners. The goal of the UEP program is the education of a new generation of leaders, “practical visionaries” who will contribute to the development of more just and sustainable communities. A key step toward this is making our institutions more responsive to child, adult and ultimately community wellbeing by helping them understand, empathize with and respond to the social, economic and environmental needs of individuals and communities. The Urban Homesteaders’ League is a community venture dedicated to inspiring and empowering individuals and communities to shift from a lifestyle of passive consumption to one of active participation, creation, and connection. The UHL teaches workshops and skillshares on sustainable urban living and creative domesticating. They organize potlucks, field trips, stuff swaps, film screenings, and conferences, oftentimes in collaboration with other organizations and communities.